There was a real buzz in the air when I arrived, and I don’t mean metaphorical either, as I was invited to do this interview on a very busy day. You got it, it was that time of year when a new look was calling. 😎✂️As I came round the corner a strong well oiled team of no less then seven people, who by 10am had already shared over 100 alpacas! Some are happy eating grass in their paddock whilst others are waiting for their turn so I got stuck into helping. 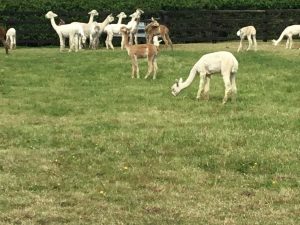 Alpaca evolution not only breed these wonderful animals for there fleeces but also they are one of the leading alpaca studs in the country selling and buying alpacas from the UK and abroad. (don’t worry I stayed well away from the shearing!) 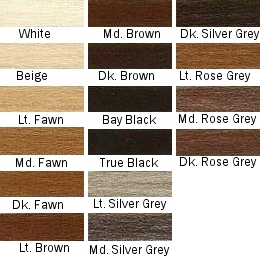 I soon realised what a broad range of colours these lovely animals come in. Shearing is a vital part of helping to keep this breed healthy, not only does it help to keep them cooler in the long hot summer months,☀️ but gives the owners and careers a chance to check the alpaca over for any health issues and routine maintenance such as foot care and worming. Huacaya & Suri Whats the differnce? There are two kinds of alpacas, the Huacaya(pronounced Wuh-kai-ya) and the Suri. Huacaya alpacas are fluffy like teddy bears and Suri alpacas have long shiny locks like very soft, slightly curly hair. … The fibre of the Suri fetches a higher price on the international market. Alpacas have several uses, not only can we use there fleece but they make excellent grading animals and can be mixed in with sheep and goats. 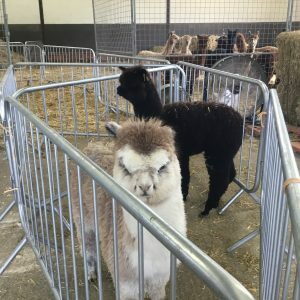 Press play and have a watch at my Fleecey, fact, fun filled day at Alpaca Evolution.